Over the past few months, we’ve been bringing you the story behind the development of the forthcoming Boatrocker Brewery. Many of you will know Boatrocker’s beers, such as Alpha Queen and Hoppbier, that have to date been produced under contract. The contract route was always a temporary measure for brewery co-founders Matt and Andrea Houghton and now, within just a few weeks, the first brew will go through their own brewhouse. This short series on the starting of a brewery has proved one of our most popular if feedback is anything to go by, with Matt offering frank opinions on the issues faced along the journey from home brewer to pro brewer. You can read the first two articles here and here, or read on for the latest update as he closes in on that first brew day. 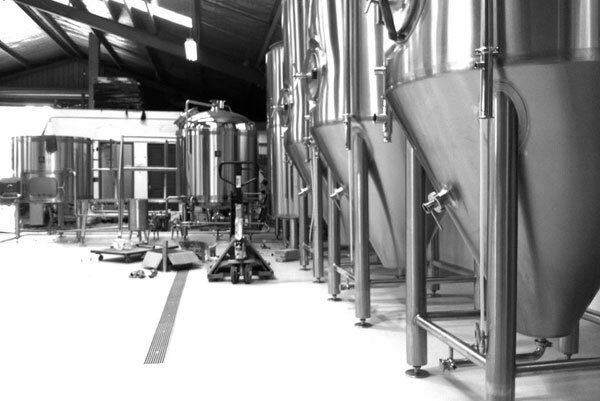 Last time we caught up, you’d just started work on the new brewery – how’s that been progressing? Last time around, weâd been purchasing equipment and trying to get everything sorted. Well, a lot has happened since then. Our original plans were to have a concrete floor (called a screed) laid over the existing concrete. However, we just got mucked about by concreters. One was a nice enough bloke, but there were concerns for us about how it was going to be technically constructed. Another concreter came highly recommended from a friend, but we had so many calls back and forth before getting a quote that we wasted too much time. Add to all that the problem that concrete takes at least 28 days curing time before you can work on or with it and we just had to look at other options. Our original plan was to have a concrete screed to 150mm, with a 9mm polyurethane coating on top. Due to time constraints and the aforementioned issues, we investigated an epoxy screed, with an epoxy top coat. We found a company called Liquid Plastics, headed by a kindly gentleman called Gerard Kruger: 49 years in the game, with a list of companyâs floors under his belt that was very impressive. Add to that the floor being ready in ten days, and for the same cost as concrete plus polyurethane coating, and we had ourselves our new flooring guys. So now we have our bunded flooring area, with trench drain leading outside to our wastewater system. So far weâre happy with our floor, but ask me again in five years (the guarantee on the floor)! 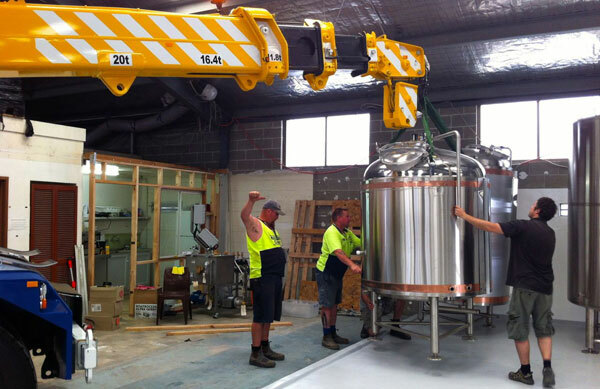 We have our tanks and brewhouse onto the floor now too, so we have started looking like a brewery. Thereâs still much to do, but everything is funneling into place. Have there been any unexpected surprises or hold ups? The flooring was a hold up, but we are past that now. The other hold ups have been getting our new gas meter installed (still waiting, but hopefully in the next weekâ¦) and our tradewaste agreement. Itâs not really unexpected, but just plain frustrating. Unfortunately, you just have to let bureaucracy run its course. As for surprises, everything was pretty much as expected. Weâve just had our stainless guy in doing some modifications to the existing pipe work from Newlands. Weâve added a couple of diaphragm valves, and a sight glass inline, plus a re-circ for the cold liquor tank. It certainly pays to know a good stainless welder. What support have you sought in setting up what is your first brewery? As far as support goes, we havenât actively sought a paid advisor or some such. There are plenty out there, but youâre really paying for hand holding. Fine if you want to spend the cash, but I can put that money to other areas needed for the brewery. 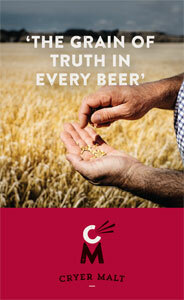 However, I have asked many, many questions of brewers, and read and re-read books and articles. Naturally, weâve left some things to professionals (e.g. flooring, stainless welding) and with others, such as glycol, weâve been given the rundown on how to install it all, and have done so ourselves. This has saved us considerable amounts of money in labour costs. It also helps that I have some good friends who are handy with tools! One thing is very clear, and I guess itâs worth saying here: No one has the same passion, sense of urgency, or care that you do, no matter how much you are paying them. At the end of the day, itâs up to you. This certainly adds to the pressure when you are manipulating the budget when something blows out (e.g. brass fittings â see below), because you have to find the money somewhere else in the brewery. 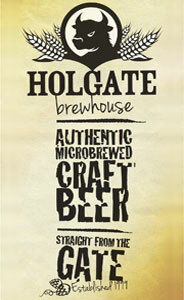 Are you planning to brew yourself or will you be establishing a team of brewers? I will be very much hands on, however due to the reality of where we want to be and how much beer we need to produce, I wouldnât be able to manage it all. With 12,000 litres of barrel capacity, plus 7,000 litres of unitank capacity, itâs going to be busy. The barrel program weâre starting will be very labour intensive, and the two to three week cycle for the unitanks means we had to hire someone to join the Boatrocker team (your readers may have seen the ad on this website). We have employed Matt Inchley full time, to work in the capacity of head brewer and he has a great history in craft brewing in Melbourne: his time at 3 Ravens, Mornington Peninsula Brewery and a small distillery has given us ample faith in his abilities. And heâs got a cracking music selection on his iPod! As we grow, weâll be needing more people to join the team, not only as brewers, but as packaging crew, salespeople and so on. Any more lessons learnt at this late stage in the setup? Never trust a company that doesnât have prices displayed. Case in point: We went to FHS (Fluid Handling Systems) around the corner, and stocked up on what should have been relatively cheap brass fittings for the glycol connections to our tanks. Boy, was I wrong. One hosebarb Â¾ inch tee was $24. Thankfully we found a brass fittings manufacturer in Ballarat (Regional Brass Industries), and the equivalent was $10! Close may be convenient, but that was really taking the mickey. And I may as well throw in another adageâ¦ Patience is a virtue. Both for us and for our retailers who want our beer but we cannot provide. Rest assured, it wonât be far away! When will the first brew go through tanks and what will it be? Our first brew through the brewhouse will be a âpancakeâ brew. Something to put through all the vessels, and then throw down the drain. Then weâll kickstart with our first batch of sour. Then onto the regular lineup of beers. Boatrocker Brewery will be a production facility in Melbourne’s southeast.